Newspaper Scrolls included for both mailboxes, though it is not shown on this vertical mailbox. The traditional shape of the Contemporary Mailbox is the only thing it has in common with a standard hardware store mailbox. This solid cast aluminum construction provides added strength. The powder coated finish will maintain its beauty for years. 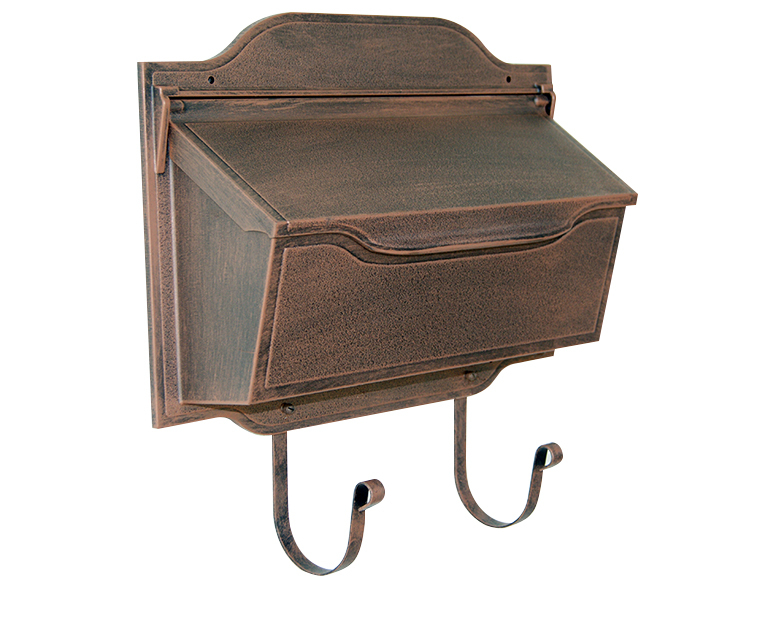 The Contemporary, like all of our mailboxes, is manufactured from rust-proof cast aluminum. Each piece is powder coated to give it a chip-proof, fade resistant color. The Contemporary Residential Mailbox is available in all of our colors and finishes. "Compliments our home--railing, lighting, and storm door. Very good quality and no problem with rain. We like the simplicity of the mailbox." "I looked at every store in our area to find a mailbox before ordering this one. I love the quality and beauty. I was even more pleased than expected."